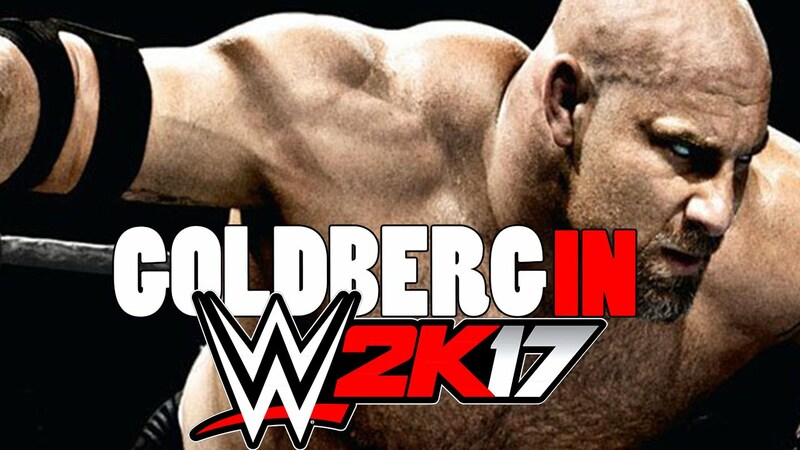 Will The WWE 2K17 Announcement Lead To A Goldberg Return? Some questions are hilarious in wrestling when speaking of comebacks. Now, when asked if Sting should go to WWE, I remember responding with a resounding YES. When asked if Stone Cold should come back, I responded with a huge YES. When asked if I wanted The Rock, Brock Lesnar, and even Rob Van Dam back, I gave a big YES. Nostalgia can be great yet detrimental for wrestling. However, what it does do for sure is make headlines. Thus, when the teasers for Hatch came along, many of us began to wonder what could be to come. I think I knew from the start what this was in relation to, and I was correct. It had something to do with WWE 2K17. Now, there have been trailers every year for WWE 2K and after watching the return of the Ultimate Warrior, which then led to his Hall of Fame induction, we saw Sting get in the ring after being announced for the 2K game before as well. With Goldberg announced now for the game, it would almost seem as if he will follow that same path and either get a Hall of Fame induction himself (I guess it's deserved... I mean KoKo B Ware and the Bushwhackers are in there) or something that feels like it's a long time coming, an in ring return before retiring for good. 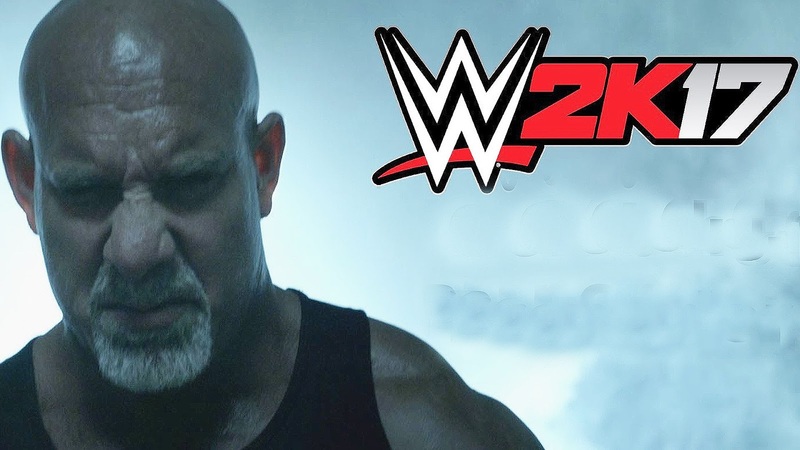 Could Goldberg be setting up for a big time return and a possible appearance at Summerslam? Survivor Series? Surprise entrant at the Rumble? A big match at Wrestlemania 33? It is very likely knowing the WWE history and Goldberg has said he's not against a possible match or return for the sake of his son seeing him in action. That begins to beg the question of who would Goldberg face if he did come back? With Ryback likely on his way out of the door and into the indies or TNA(no chance ROH hires him), the most logical match seems to be off the table. So, who would Goldberg come to fight? Would he sign a contract to fight multiple matches? Common sense would say Goldberg should sign a contract over the summer to do a mini run from Survivor Series (shortly after the 2K17 game releases) to Wrestlemania 33 before hanging up the boots forever. Why? Well, you can bring Goldberg back on an episode of RAW and have him as the fifth member on a main event team going into the PPV. It keeps the attraction of Goldberg alive for future reference and holds off a singles match until Mania. I'd let Goldberg be involved in storylines periodically under a part time schedule (2 weeks of RAW in a row, miss a week, repeat) until it's time for the Mania build. I'd have Goldberg as a special entrant in the Rumble as well, and while he wouldn't win, I'd have him get eliminated by whoever his Wrestlemania 33 opponent will be. And there goes the toughest part of the entire Goldberg return. 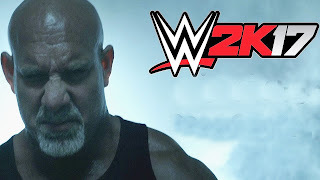 If Goldberg were to return and fight at Wrestlemania 33, who in the hell would you put him against? Who makes sense? Who can afford to take what will be an obvious loss? No chance Goldberg comes back and loses in his final match ever, so this presents the challenge. You want to have a big money match, a big feud for Goldberg, but let's be honest: Goldberg was never known for his actual wrestling. He was not. He was known for being dominant. Destroying opponents in less than 5 minutes. When he was in WWE for a year, he had to wrestle full length matches of 20 minutes and it didn't work. You saw his weakness. You saw that he wasn't the guy we thought in WCW. So if he comes back much older and less mobile and active, wouldn't it likely backfire to an extent at Wrestlemania? This would lead to a true ring general coming in to give Goldberg one of the better matches of his career likely, but all the current ring generals can't afford to take a loss to someone like Goldberg. Bray Wyatt vs Goldberg? While this would be interesting, and a big headline match for Bray yet again at Mania, would it make sense? Would it be smart for Bray to build up a feud with Goldberg, only to lose in 9-11 minutes? Likely not. How about AJ Styles vs Goldberg? While AJ could carry Goldberg to a great match, there's the dangerous factor of Goldberg that could end up injuring AJ if he's reckless with his moves. Sami Zayn vs Goldberg? No. Seth Rollins vs Goldberg? No. Dean Ambrose vs Goldberg? No. Roman Reigns vs Goldberg? As much I would love to see Reigns get speared and lose to a Jackhammer, that match would be horrible and there's no way they would make Reigns lose, so no. So who? Here are a few small choices and why they could afford the loss and the feud. -This match makes the most sense from an aesthetic point. Sheamus and Goldberg are both physical beasts and this match could end up as a slugfest and a brutal contest. It would allow Goldberg to have a prominent match against a newer name without taking too much of the shine from anyone, and Sheamus isn't really in the future plans of WWE for the main event I'd assume, so him taking a loss in an 11 minute match would not be so bad. This is likely the smartest option as Goldberg doesn't hold the same drawing power as a Sting, Brock, or Rock in his return, and it will be a harmless feud and match to give him one last moment in the sunset. -This is the one I'd be most excited about. Rusev is a great worker and character and him playing the antagonist going into Mania against Goldberg with Lana by his side would be golden. In the weeks leading up to it, allow Rusev to utilize Lana to gain the upper hand on Goldberg and put him in this finishing move once or twice making Goldberg pass out. Make the build believable and make Rusev look good as well. 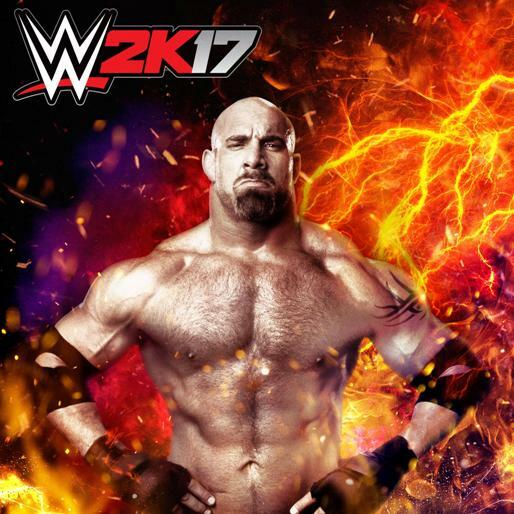 Let the match be a brutal fest with Goldberg winning after a back and forth contest. Rusev won't be hurt by that loss, and the next night on RAW, he can come right back and start another feud to move on with. -To be fair.... I don't want this match. I think it would be a waste of Owens, but if anyone could make this work and still pull off getting over in a losing effort as a heel? Owens is that guy. The exposure for him in this feud would be huge and if he would kick out of two Spears and a Jackhammer or two, before taking the fight to Goldberg and then Goldberg gets a quick win, this could work. Especially if Owens goes to shake Goldberg's hand after the match is over and as Goldberg goes to shake it, Owens lays him out with a Pop Up Powerbomb, leaving us with a long lasting memory for Mania purposes even in a losing effort. Also a likely and smart scenario. -This match is really just here for the purposes of a "dream match", though I'd never want to see it. Cena vs Goldberg would be a big match and Cena not going over makes this even better. Goldberg kicking out of the AA, along with Cena kicking out of two Jackhammers before finally falling to a third, then the two shake hands in a show of respect after the match. -This is the only other match I could imagine working, especially since the last time it happened, Orton wasn't a star yet. Orton could give the match that extra boost needed and the Spear being turned into a RKO or the Jackhammer attempt being turned into the RKO with a huge Goldberg kickout followed by Orton kicking out of a huge spear would be worth it alone. Plus, Orton could handle the loss. These are some of the smartest matches. There were a few I was on the fence about like Cesaro and Goldberg, as Cesaro would make it great, but I truly believe that Cesaro shouldn't have to carry the match and really lose it. Samoa Joe vs Goldberg would be one that I'd like to entertain the thought of, but to be honest, Joe could not take the loss. It's just not a smart idea to make that match happen, but if it did happen, I'd not hate it at least. However, there is always the chance the WWE goes full retard and books a horrible match choice. In that event, here are matches to avoid booking for Goldberg in the event he does return. -We don't need no stinking rematches. Honestly, despite the issues they had in the past, this is not a good look. Let's not revisit this. Ever. Again. -The rumor has always been Goldberg wants a redo of their Wrestlemania 20 match, but I'm not so sure that's smart. Not to mention the subtle yet interesting placement of Suplex City in the commercial teaser for the 2K17 game. This first match was horrible and this match would be even worse. Let's keep these two away from each other if he does return. Seriously. 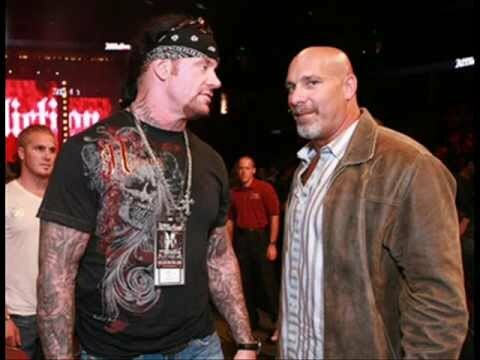 -Imagine if this happened 10 years ago or if Goldberg came back during the Undertaker's second prime? It would have still been disappointing from a match standpoint, but it would have been entertaining. Unlike Taker vs Sting, the spectacle here is not enough. Taker is much slower and Goldberg would be rusty so the logical choice is to never bring this match up again or think about it happening in reality. -This would be the weirdest match ever. Yet I feel like this would be an idea the WWE would come with. Please don't. WWE seriously. Please don't. Same goes for a Goldberg vs Balor match, or Goldberg vs Anderson. Just don't do it. -It's bad enough Shaq vs Big Show is rumored. Let's just avoid this rematch for the sake of seeing a huge Jackhammer that was much cooler 18 years ago when it first happened. The same goes for a Goldberg vs Kane match or anything like that. Goldberg returning would be an interesting scenario, and I'd welcome it for the purpose of nostalgia at Mania that doesn't overshadow the current stars. 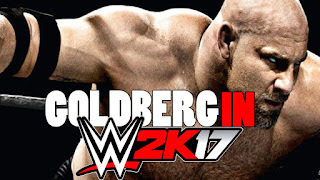 Should Goldberg return? He doesn't NEED to, but why not? He's not as familiar of a face to this generation and with the game coming out, why not let him have one more walk down that aisle before officially closing the door.